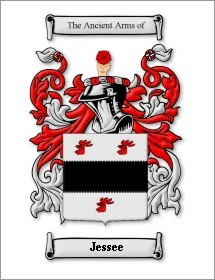 Jack Hockett [Tlas101@aol.com] wrote, 7/31/2010, regarding Jessee’s Mill. Jack Hockett is a regular and hardworking contributor to South West Virginia History and Genealogy. The Roller Process Jessee Mill was built between 1889 and 1900, by Andrew Jackson Jessee. It is located on Mill Creek four miles southwest of Cleveland on Route 645 and about six miles from Lebanon, in Russell Co., VA. The mill was built from lumber grown and sawed on the Jessee farm which consisted of several hundred acres of land. Most of the lumber was yellow poplar and has not deteriorated with age. The machinery in the mill was made in Salem, VA. All the cogs or gears in the machinery are wood. Prior to the building of the present mill there had been a grist mill near the site of the present one for around fifty years. The building consisted of three floors and the machinery was installed through the three floors. For several years the Jessee Mill was the only roller mill in Russell Co. People came from all over the county and surrounding counties to have meal and flour ground. Huge storage bins were located in the mill for storing grain for the farmers. The mill was owned and operated by Jack Jessee until his death in 1922. His son, Wiley E. Jessee operated it for ten years. The mill closed in 1932. Mr. Joe Axem served as the first miller at the Jessee Mill. Melvin Kestneroperated the mill for twenty-five or thirty years. He lived in the white house just below the Jessee home. Jamie Chafin operated the mill for sometime, also Tilton Jessee. Other men who served as millers some time during the life of the mill are as follows: Vince Fields, Malcom Buchanan, Red Joe Jessee, Clint Fields, Bruce Campbell and Newton Massie. Jack Jessee built a large brick home in 1883 and lived there until his death, which house is still standing. The home is located just below the mill. The lumber was sawn on the place, and the carvings on the doors and wood work was hand carved. Located on the second floor hall is a red stained glass window which Jack Jessee imported from England when the house was built. In Jack Jessee’s later life, he was unable to go to the mill, but he would lie in bed and see people coming to the mill through a large mirror near his bedroom window. He always wanted everyone to come in and talk with him. Mill Creek during that time was a thriving settlement. There was a general store, a one-room country school and a church.